Puedes leer este artículo en español aquí. It’s just after 10 p.m. on Sunday night, and a crowd of people is squished against the bar at Plaza Azteca, a Mexican restaurant in Bethesda, straining to hear the politician beginning his speech at a news conference more than 3,000 miles away. Nayib Bukele, the 37-year-old former mayor of San Salvador, is expected to announce the results of that day’s presidential election in El Salvador. His face is emblazoned on more than one article of clothing in the crowd of about 50 people, most of them Salvadoran immigrants who’ve lived in the U.S. for more than a decade. Bukele had been leading in the polls for weeks, but people at Plaza Azteca were muttering all night about the possibility that officials would try to steal the election from the third-party candidate. The results of the night had been trickling in over the last several hours, and they mostly looked good for Bukele. But Bukele didn’t just need good: he needed more than 50 percent of the vote in order to avoid a runoff election. Bukele begins his speech, and the room holds its breath. He won, he announces with a wide smile. He is indisputably the new president of El Salvador. The room erupts into a cacophony of celebrations: “¡Ganamos! 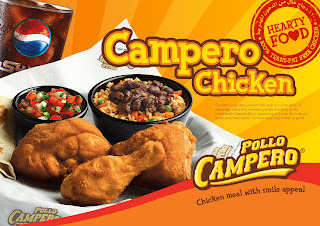 ¡Ganamos!” (We won! ), the crowd cheers. People jump and hug. Half the room is holding a cellphone up and streaming the collective jubilation on Instagram or Facebook Live, where their relatives from El Salvador are commenting and celebrating along with them. Chants begin. “Ni Arena, ni el Frente, Nayib presidente!” (Not Arena, Not the FMLN, Nayib for president.) Someone hoists a painted portrait of Bukele above his head and shakes it victoriously. Someone else hoists a Salvadoran flag. Music starts blaring. 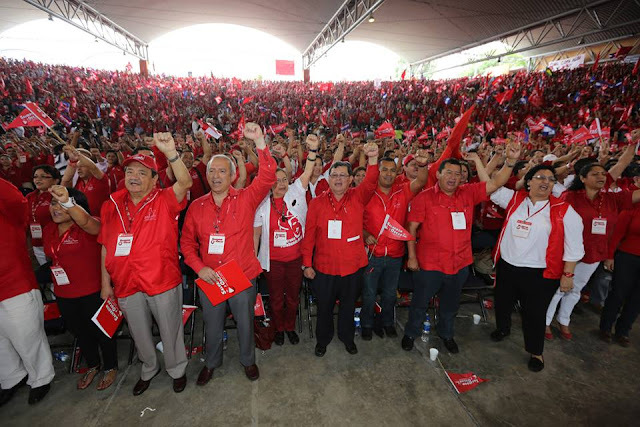 For the first time since the end of the country’s civil war in 1992, a third-party candidate wrested the presidency from the two dominant political forces in the country, the leftist FMLN and right-wing Arena. 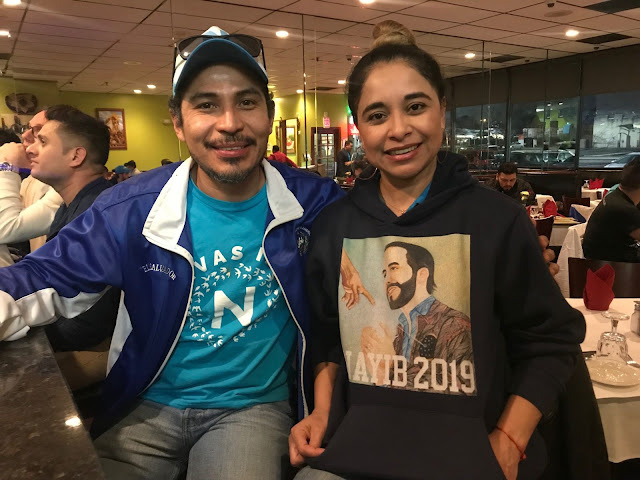 In D.C., where Salvadorans are the largest immigrant group, Bukele’s fight to the presidency has reverberated in some unexpected ways. For one thing, one of the city’s most prominent Salvadoran business owners nearly ran against Bukele himself, as the vice-presidential candidate for the country’s leftist party. Luis Reyes has lived in Washington D.C. for more than 40 years. He came to the U.S. in 1978, starting his career as a dishwasher at a Prime Rib Steakhouse on K street NW and cleaning offices on the side. 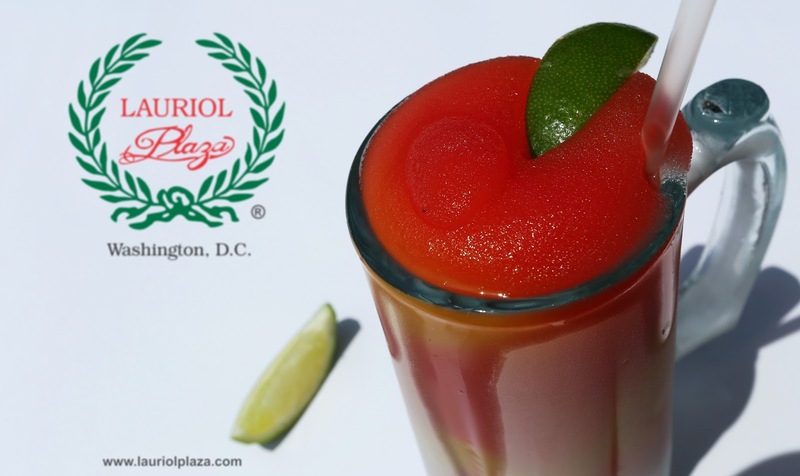 By 1983, he partnered with a friend to open Lauriol Plaza on 18th Street NW, investing his life savings in the Mexican restaurant. As business picked up, the pair opened up Cactus Cantina on Wisconsin Ave NW a few years later. These days, he’s busy running both businesses, zipping around Lauriol Plaza in particular. But even as his roots in the U.S. grew more entrenched, Reyes was slowly becoming a power player on El Salvador’s political scene. 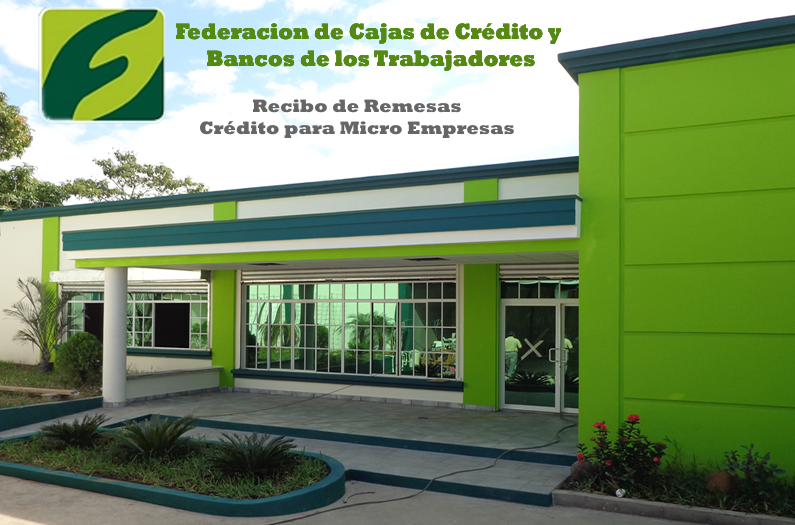 Sympathetic to leftist movements in his home country, he was always busy trying to galvanize other Salvadoran business-owners and community members in the area to support his preferred candidates with the FMLN. He says this very simply and matter-of-factly, as if it were perfectly natural for a D.C. resident to be considered a viable candidate for El Salvador’s vice presidency. “I said no because of my work obligations. And because I want to help my country without [firm] ties to a political party,” he explains. Reyes is aware that it might seem strange for a ruling political party to offer its vice presidential candidacy to a man who has been living out of the country for the last four decades. It does appear to be the first time one of the two large, powerful parties in the country has offered a spot on the ticket to a Salvadoran immigrant to the U.S. But it’s hardly out of the blue. Reyes has been heavily involved in his country’s politics all of his adult life, though he’s spent all of it outside the country where he was born. He’s part of a large contingent of Salvadoran immigrants (and their children) in the D.C. area who have campaigned for their preferred candidates among relatives at home and abroad, sent money to help movements and political campaigns, and organized U.S. events for their favored Salvadoran politicians. As time has gone on, politicians in the country have responded in kind: they seem invested in winning over the Salvadoran diaspora in the U.S. Many have taken to making visits to places where Salvadoran immigrants are clustered, including—and especially—the D.C. area, where nearly 300,000 Salvadoran immigrants live. “It’s fascinating that, since 1994, presidential candidates have all felt they need to come [to the U.S.] to campaign. Immigrants influence the in-country vote, it’s perceived that it matters,” says Geoff Thale, the vice president for programs at the Washington Office on Latin America. Salvadorans who live abroad have been able to vote by mail-in ballots in their country’s elections since 2014, so that’s certainly one reason to campaign in the U.S.—but Thale says the diaspora’s turnout is generally pretty abysmal. What really matters is the influence U.S. Salvadorans have on their relatives in their homeland. “Remittances matter so much, and people are in such close touch with their relatives back home, that the way people here see candidates in El Salvador really matters,” Thale says. At the watch party on Sunday night, people agree. They had T-shirts made and sent them home for their relatives to wear. They donated money. They held events. They registered folks to vote. They campaigned from afar. “We had a big influence on this back home,” says Marlin Paniagua, a 32-year-old Maryland resident who has been in the U.S. for nearly 14 years. Reyes in particular has become a power player in the political scene of diaspora Salvadorans, organizing large events for candidates to come speak and raise money. His influence is important, both to candidates and to U.S. Salvadorans, especially other business owners, who have come to trust his judgment. 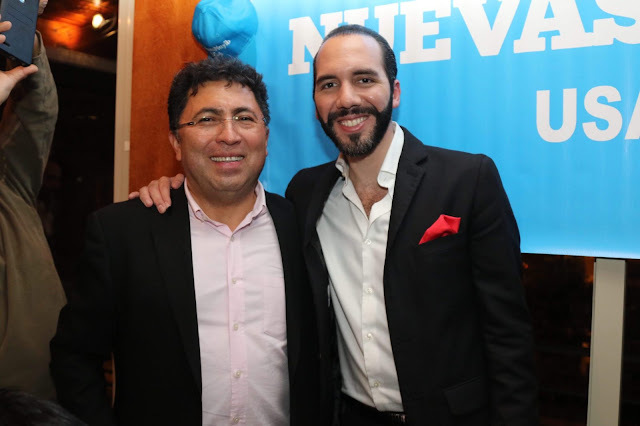 As one Spanish-language media outlet put it, Reyes’s “charisma has allowed him to gain recognition and affection from his compatriots, and also put him on a pedestal” high enough that it seemed reasonable for the FMLN to consider him as a running mate for Martínez. Ultimately, though, Reyes rejected their offer, opting instead to support Nayib Bukele. Bukele has become a political phenomenon in El Salvador over the last five years. He started out as mayor of a small town called Nuevo Cuscatlán in 2012, and later, after rave reviews of his performance, became the mayor of the capital, San Salvador. 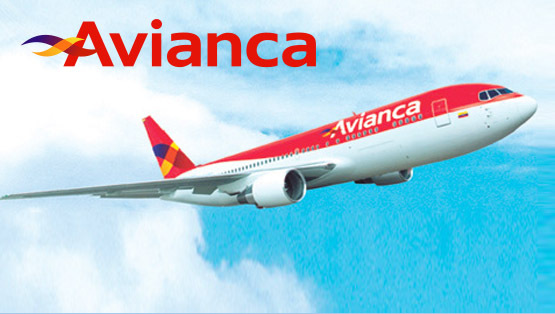 Both times, he was elected as a leftist member of the FMLN party. 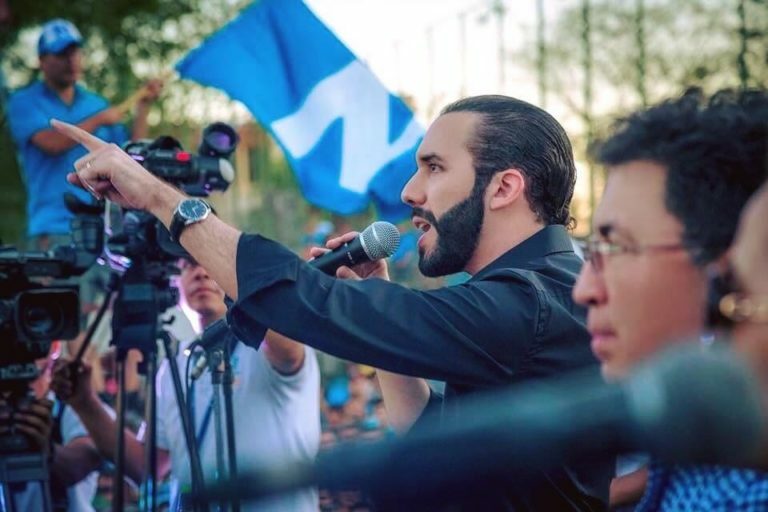 But in 2017, the party expelled Bukele over accusations that he verbally abused a female employee (many of his supporters saw the expulsion as politically motivated, the result of clashes between the former mayor and the FMLN’s leadership). When Bukele launched an independent bid for president, many Salvadorans in the U.S.—including Reyes—got behind him, despite an unusual alliance. The candidate was blocked from running under his own political party, Nuevas Ideas, so he joined forces with the center-right party GANA. “I don’t think I ever would have liked [Bukele] if he didn’t come from the FMLN. But he was a good prospective candidate. He was very popular, he appealed to millennials, he knew how to use social media,” says Reyes, who founded Nuevas Ideas USA to shore up support for the nascent Salvadoran political party. Another group, Nuevas Ideas America, splintered off and has hosted its own events, like Sunday’s watch party. At one speech that Bukele gave in Virginia, organized by Nuevas Ideas America, so many people showed up that hundreds had to wait outside. Bukele even paid a visit to Lauriol Plaza, where the candidate spoke to a crowded room as Reyes stood to his left. “We influenced our people over there,” Reyes says. In offering him the vice presidential ticket, he suspects that the FMLN hoped to put an end to such efforts. It turns out, they could not. Reyes turned the job down, and Bukele won his new position handily, with 54 percent of the vote. The FMLN came in third on Sunday. Still, Reyes says it hurt to turn them down. He considers the party’s leaders to be friends and even heroes. “But I had a commitment,” he explains.